Safety and industrial equipment specialist BOC has added a stylish new high impact helmet for welding and grinding to its Weld Guard protective product range. BOC's new high impact helmet offers users high protection when welding and grinding. The new auto-darkening helmet with a unique graphic design gives welders the flexibility to work with different processes such as MMA stick welding, MIG/MAG and TIG welding (above 20 amps). It features variable controls that rapidly adjust the shade from light to dark within three milliseconds. 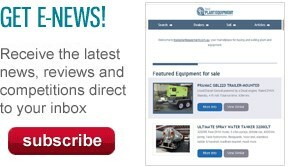 BOC safety products manager Joe Martinez says the new Weld Guard helmet offers high protection and is an affordable option that can save users both time and money by welding and grinding with one helmet. "The Weld Guard high impact helmet allows users to conveniently switch from welding to grinding mode for pre and post welding clean ups," he says. "The new shell design offers full coverage and is high impact resistant to give the user maximum protection. "It is also lightweight and comfortable for a full day’s work and allows magnifying lenses to be fitted, as an optional extra, giving clarity for near sighted welders." 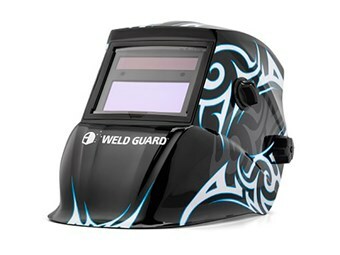 The Weld Guard high impact helmet comes with a two-year conditional warranty and is now available from BOC Gas & Gears across Australia and online at www.boc.com.au. BOC’s full Weld Guard protective product range includes helmets, gloves, jackets, aprons and other accessories.